Planning for your legacy is one of the most important things you will do over your lifetime. As you work hard, earn money, and build wealth, you want to ensure that the fruits of your labor can be used to make your family’s life better and to improve life for others. This means taking control over how your assets will be protected and how they will be used when you are gone. Your legacy is too important to just leave to chance, so you should begin the legacy planning process as early as you can. What should be part of legacy planning? How can a Long Island legacy planning lawyer help you? Legacy planning is important because everyone wants to be remembered as having a positive influence on their family and on the world. Legacy planning is also important because you want your life’s work to amount to something greater than yourself. Without a legacy plan, all you have worked for could be lost if you get sick as a senior and have to pay for the high costs of nursing home care. Your wealth could be devalued if you become incapacitated and unable to care for your property but haven’t put a plan in place for asset management. You could lose a good portion of what you’ve worked for to estate taxes and the cost of probate, and your money and property could be distributed in ways you don’t want after your death. All of this can be avoided by working with an attorney to make a plan. An attorney can assist you in finding ways to build wealth, to protect it, and to use it for good. Strategic investing, including using IRAs and college savings accounts, so you can build more wealth to serve as your legacy. Incapacity planning, including the use of a power of attorney as well as the use of trusts to ensure that your assets are always managed in an appropriate manner. Business succession planning, which is essential if you have started your own business and you want to ensure a seamless transition when you leave the company. Medicaid and nursing home planning, which is one of the key planning processes you must complete in order to make sure your assets are protected and can serve as your legacy. Asset protection, which is essential to ensure that your money is safe and can be used for your loved ones or charitable causes. Asset protection can go beyond nursing home planning to identify risks and find ways to keep your wealth safe. Planning for charitable giving, including the use of charitable remainder trust and the option to start a charitable foundation. Estate planning, which involves using trusts and other tools to reduce or avoid estate taxes and facilitate the timely transfer of your wealth to people and causes you care about. Eghrari Law Firm can help you with these steps of legacy planning and can assist you in making the most effective possible use of legal tools available to you under New York law. 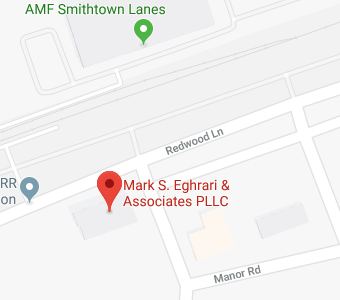 A Long Island legacy planning lawyer at Eghrari Law Firm can provide you with comprehensive assistance in determining how to grow your money, how you can protect it, and how you can make sure it is used for your desired goals. The sooner you begin, the stronger the legacy that you can crate. Give us a call at (631) 265-0599 or contact us online to speak with a member of our legal team and to learn how we can help you.